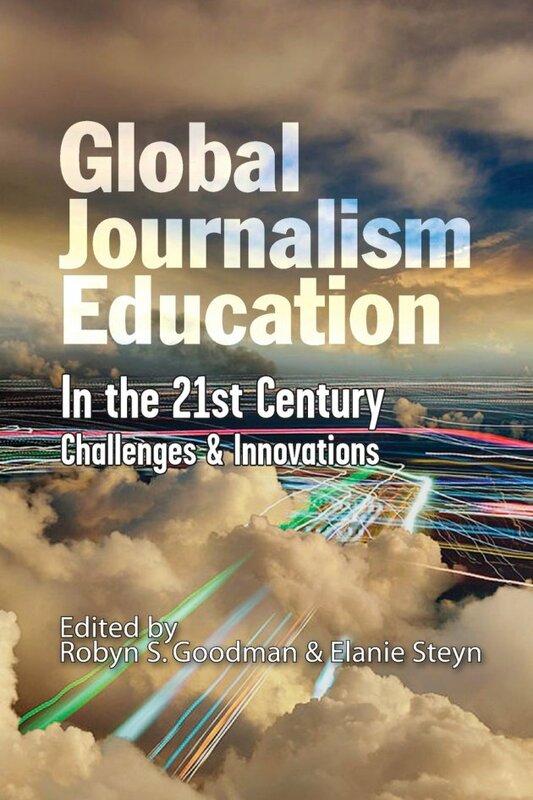 The Knight Center announced the publication of the book “Global Journalism Education in the 21st Century: Challenges and Innovations,” edited by professors Robyn S. Goodman and Elanie Steyn, at the 18th International Symposium on Online Journalism (ISOJ). The book is the Knight Center’s first project in its new initiative to publish international academic research on journalism. Goodman, professor and director of Communication Studies at Alfred University in New York, said the book is for educators, professionals, nonprofits and students. The book is divided into three sections. Part one is composed of ten country case studies from scholars in Australia, Chile, China, Egypt, India, Israel, Russia, South Africa, the UK and U.S. Part two, “Contextualizing Global Journalism Education,” looks at the current, past and predicted future of global journalism education and the impacts it’s had on professional practice. And part three looks at innovations around the world in journalism education. This section includes chapters on education innovation including topics like media entrepreneurship, mobile journalism and coding. A concluding chapter posits 10 predictions for journalism education in the future. And an epilogue from Goodman looks at how global journalism education has been shaped by Western bias, efforts to de-Westernize this education and the current efforts of educators around the world to prepare future generations of global citizens and journalists. “Journalism education worldwide is influenced in part by shared occupational needs and Western bias,” Goodman writes. “It tends to be growing increasingly professionalized, formalized, standardized, university-connected, and homogeneous.” However, she adds that education systems around the globe are still differentiated by cultural differences. The idea for this book and the work to create it date back to 2001, during meetings of the Association for Education in Journalism and Mass Communication’s (AEJMC) International Task Force (ITF) and from discussions at the World Journalism Education Congress (WJEC). There was a need to share best practices in journalism education with colleagues around the world, an area that lacked significant academic literature, explained Goodman, who was initially joined in editing the project by Suellen Tapsall, director of Custom Education at the University of Melbourne Commercial in Australia. This need was strengthened by the huge disruptions taking place in journalism practice globally. From the start, the book was shaped with international perspectives and input from scholars around the world. A steering committee for the work consisted of members from five continents. Steyn, professor and journalism area head at the University of Oklahoma’s Gaylord College of Journalism and Mass Communication, said the original intent was to look at similarities among countries and to see how they can learn from one another in terms of journalism education. As they worked more, the editors realized they wanted to include a section on innovation, she added. Steyn said the book shows something she is seeing at her own institution and through colleagues: how education is changing so that students are exposed to experiential learning and the realities of the profession earlier on. 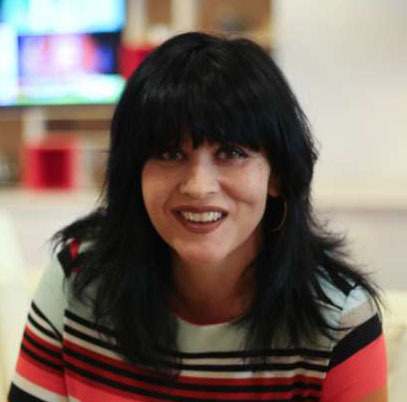 “If you have someone with good real-world experience and somewhat of an innovative approach to learning and teaching, it really is becoming increasingly interesting to teach students about the different skills they need and how that folds over then into their experience of how do we learn about things, I think that is an interesting connection,” Steyn said. In the chapter Going Global: Journalism Education Gets Its Act Together, co-author Ian Richards, professor of Journalism Studies at the University of South Australia in Adelaide, looks at changes in global journalism education in the past two decades. He predicts greater collaboration among journalism educators and students around the world in the future. “The reason is simple - pressure from educators and pressure from students. The former because they need to understand what is happening to journalism and journalism education, and work out the best ways to respond; the latter because we live in a globalized world, and students in most countries are far more global in their outlook than previous generations,” said Richards, who added that this collaboration is essential for educators to understand the field and respond in relevant and informed ways. There are plans to publish the book in Spanish for consumption by a wider audience. Additionally, this book is the first step in the Knight Center’s new initiative for publishing research on global journalism and global journalism education. “Global Journalism Education in the 21st Century: Challenges and Innovations” can be downloaded for free on the Knight Center’s site. It is also available for purchase on Amazon. Goodman and Steyn will discuss the book at the 8 a.m. research breakfast of the 18th International Symposium on Online Journalism (ISOJ) in Austin, TX on April 22. Both scholars will be available to talk about the book during the symposium.